Hardcover, 11.25 x 9.75 in. / 128 pgs / 115 color. Text by Susanne Buckesfeld, Katharina Dunst. 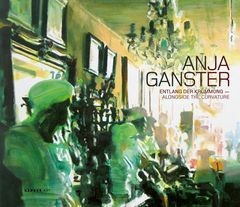 Light is Anja Ganster's central theme: her paintings of deserted spaces are a quest for sensation in which patterns of shadow and color are intensified into atmospheric images that verge on the abstract, dissolving into pure light phenomena. 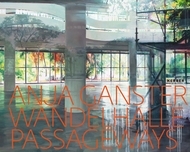 In Along the Curvature, Ganster traces these relationships across four themes—the substance of light, transitory spaces, the everyday and landscapes. Edited and text by Martin Stather, Roland Scotti. FORMAT: Hbk, 11.25 x 9.75 in. / 128 pgs / 115 color.